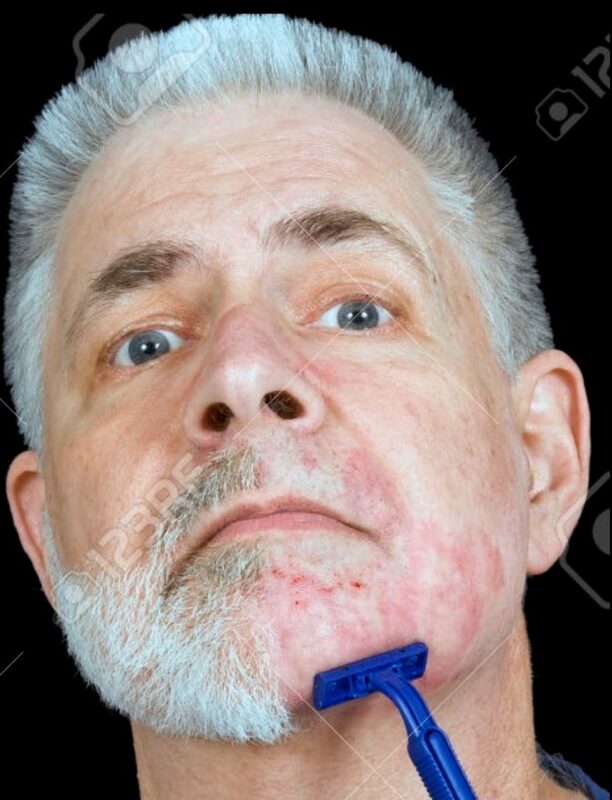 Have you been attacked by your razor? Is it causing irritation to your face and neck? If you have redness, stinging, and itching after shaving; we can help you prevent and treat that razor burn you get after shaving. Notice the red area where this man has shaved? That is razor burn which can be very painful and itchy. 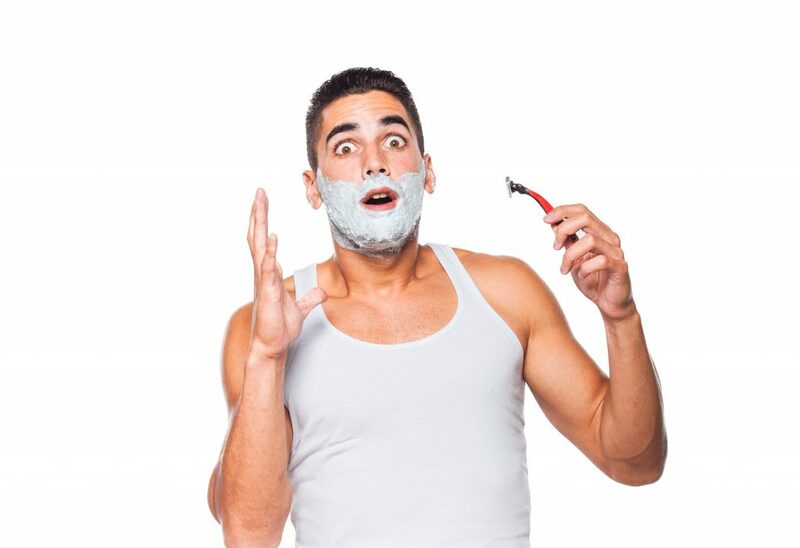 Can you prevent razor burn when you shave? Yes, we found a few ways to avoid razor burn and the pain and itchiness of shaving. Start with proper pretreatment of the beard. Use a cream or gel that has vitamin E or aloe in it to help protect and soothe the skin. Make sure your razor blades are not dull and that they are clean. Always use the proper techniques when shaving; doing your strokes in the right direction, with the proper amount of force. Using these tips can show you how to reduce razor burn. When you are going to shave; start by using a hot towel on your face for 1 to 2 minutes to help soften the beard. To heat the towel, you can run it under hot water and wring excess water out of it or run it under warm water, remove excess water, then place in microwave for 40 seconds; if it is not hot enough add 20 to 30 seconds. Just be careful with the microwave that you do not get it too hot and burn your face. Doing this not only softens the beard but opens the pores making it less likely that you will pull the hair instead of cutting it with your razor. After the hot towel, apply shaving cream, gel, electric razor liquid or shaving soap. Apply with a brush as this allows you to make sure the hair gets a good lather. Always make sure you are shaving in the right direction. This prevents not only razor burn but pulling the hair which could lead to hair follicles becoming irritated or infected. 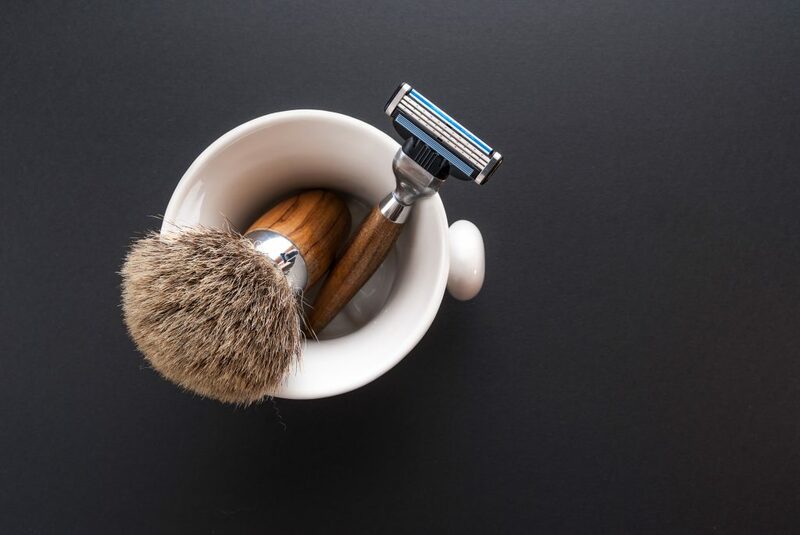 First be sure your razor is not dull and then rinse it frequently during the shave to keep it clean so that it does not pull the facial hair causing irritation or infection. If you are using one of the new razors with 5 blades and find that you have irritation from shaving try a safety razor that has only one blade or an electric razor. How do you reduce razor burn if you already have it? There are several creams and lotions on the market specifically to relieve the irritation of razor burn. Aloe – you can either buy Aloe gel or if you have a plant at home, simply break off the tip of a leaf and squeeze the juice of it directly onto your razor burn areas. Witch Hazel –will help reduce the inflammation, simply apply directly to the razor burn using a cotton ball or your hand. Lemon or Tea tree oil – Lemon juice will reduce redness and prevent infection due to the natural acidic of the lemon. Tea tree oil is an all-natural antibacterial, just make sure to dilute it with a little water before applying to your razor burn areas. White tea –the tannic acid will help reduce irritation, simply wet the tea bag and then apply to the skin. Need a few tips on shaving to avoid razor burn? The following things are easy and budget friendly and could help you stop razor burn. 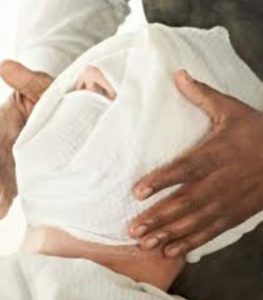 Treat your skin right; always wash your face and then use a hot towel before shaving. Use a moisturizer that contains glycerin or coconut oil to help keep your skin moisturized. Also, coconut oil has anti-inflammatories as well as moisturizes to keep your skin healthy. In between shaves, exfoliate your skin. That is right Gentlemen; exfoliating is not just for the women. It can help keep your skin healthy too. Not only will removing the dead skin cells help keep your face clean and healthy but it will also help soften the beard making it easier to get a good lather for shaving. Make sure your strokes are light and short. 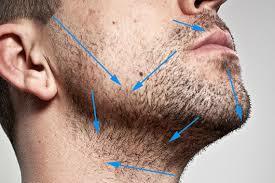 Too much pressure will cause irritation to the skin and can pull the hair instead of shaving it. Pulling hair could lead to an infected hair follicle. At the end of your shave rinse your face with cold water. This does two things; 1 it calms the inflammation and 2 it closes the pores of your face. Do not forget a proper aftershave – this can be either a splash or lotion. The difference is the splash is an antiseptic with a scent that stays around whereas; the lotion is hydrating with a scent that goes away. If you normally use a splash and are out you can simply use Witch Hazel. When it comes to the lotions you should look for ones that contain aloe or vitamin E or coconut oil to help maintain a healthy and hydrated skin tone. 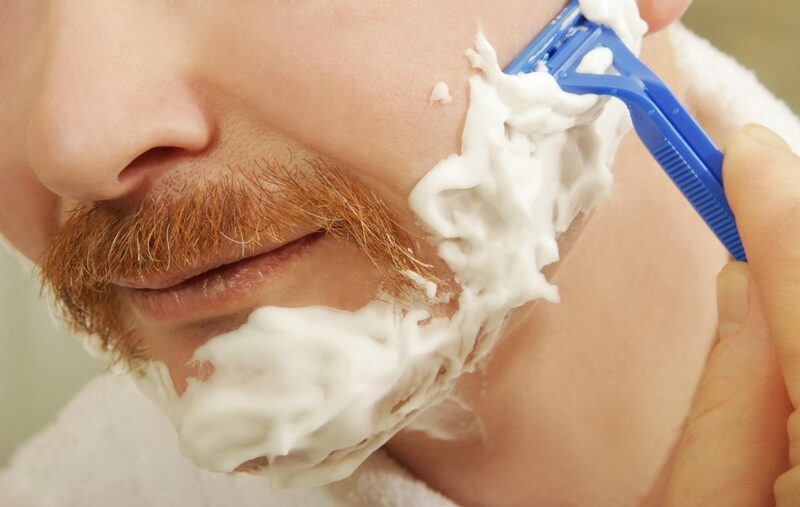 These tips and tricks can really benefit you by teaching you how to prevent razor burn after shaving, showing you how to shave in the right direction, and how to prepare your face for shaving. Taking care of your skin properly is the first step. This includes exfoliating and using a moisturizer in between shaves as well. If you follow the information we have provided, you can have healthy skin, free of razor burn and you will look well-groomed to make a great first impression.